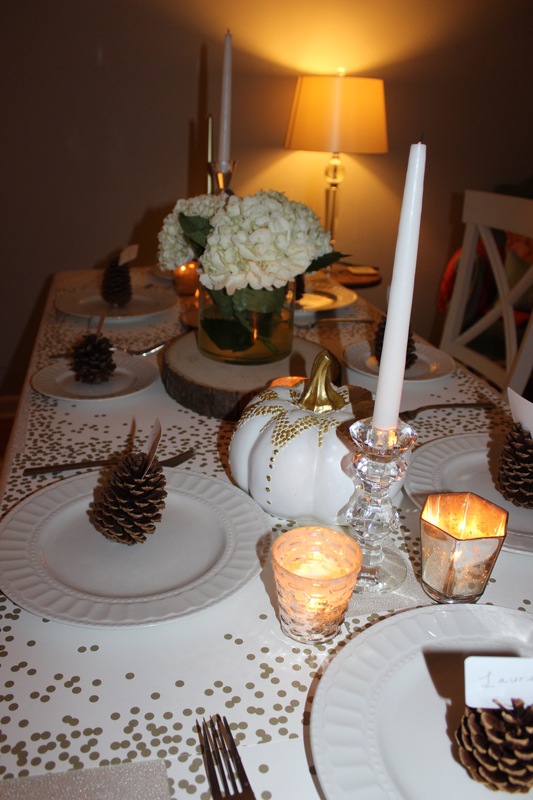 I hosted my third annual Friendsgiving event this past weekend. 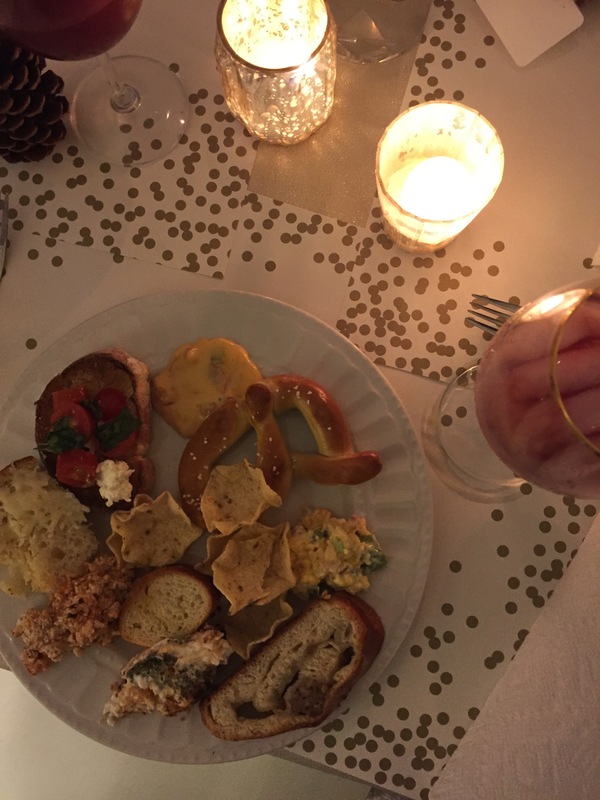 It’s one of my favorite get togethers that I have because it’s centered around food and friends – what’s not to love?! 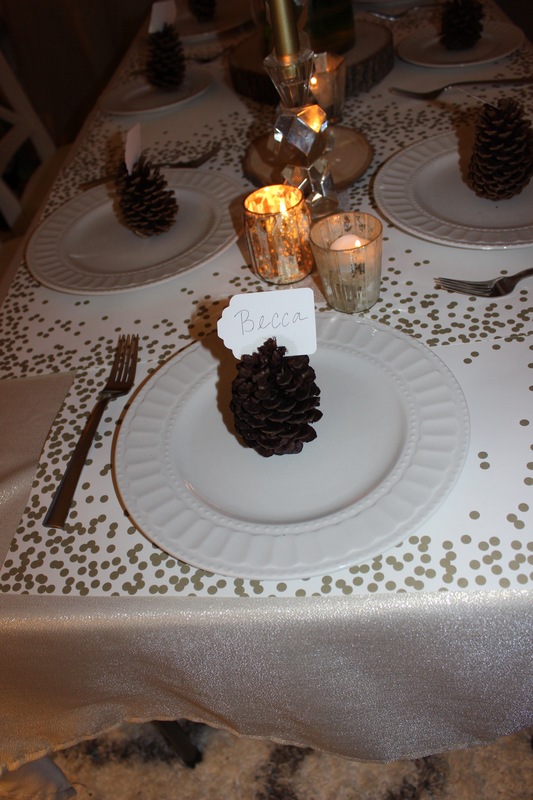 I went simple with the tablescape – West Elm votives, Paper Source paper place mats, tree stumps, and pine cone name cards. 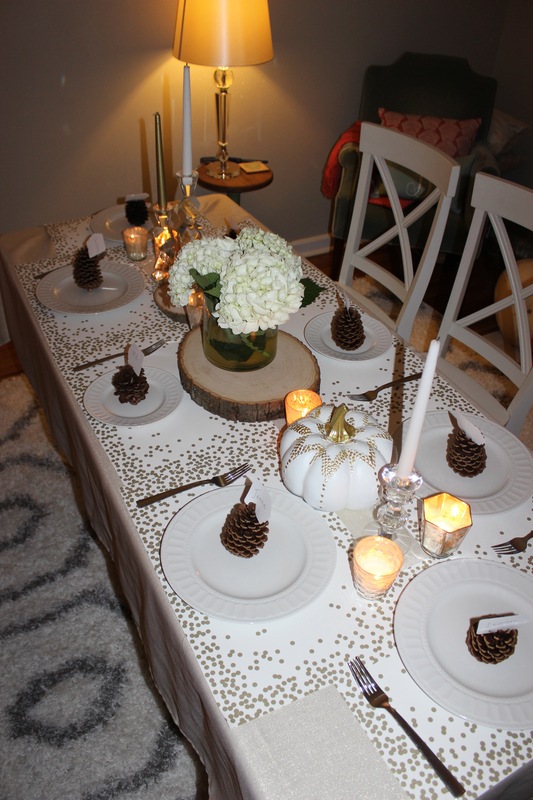 I may have collected the pinecones during a tipsy outing tailgating one day a few weekends ago. Decorating is always on the mind. 🙂 I put a folding table in the middle of the living room so there would be plenty of room and seating. I always like to play a movie in the background to add to the ambience. This year’s choice: The Holiday. My goodness that movie is good. My bar cart looks a little sad. I had every intention of putting out the sangria that I had made with cute wine glasses but it just didn’t happen. Instead, the sangria stayed chilled in the fridge in a plastic pitcher and the guests refilled as needed…I mean, you can do that at Friendsgiving, right? I made Sally’s Honeycrisp Sangria and it was pretty great. I’ll definitely make again. I designed this menu using Canva and then got it printed. I found the gold frame for $3 at Goodwill. What an easy, cheap way to add something personal to your party! Last year we did a soup exchange so we decided to switch it up and do an appetizer exchanger. I could eat appetizers all day everyday. We had such a good spread, cheese and bread and more cheese and bread. I made bruschetta with whipped cream cheese and it was delicious. Totally going to make this again for an appetizer. I love a build your own bruschetta and then you add in whipped cream cheese and I’m double sold. Here is the full spread – we did good, gals! My first plate – I probably ate an entire baguette at least. I’m so not mad about it. 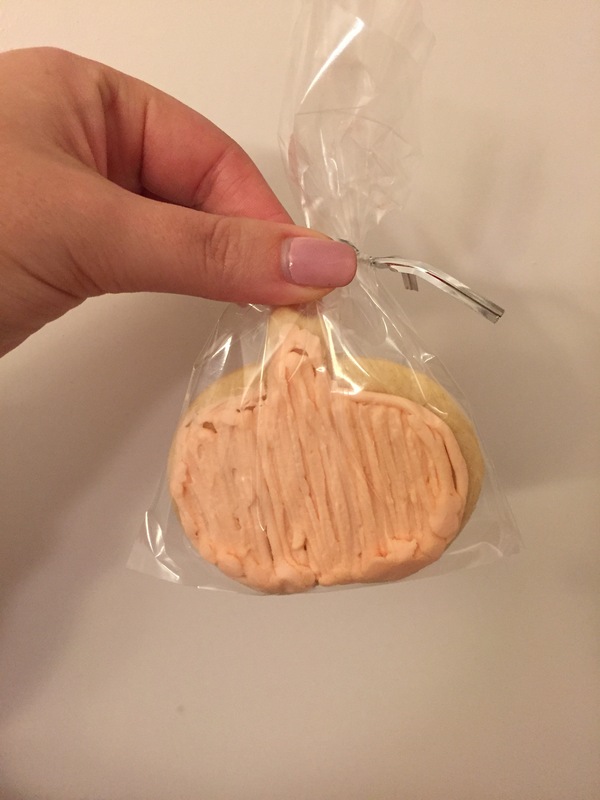 I made iced sugar cookies in the shape of pumpkins as favors. I used my go-to sugar cookie recipe from my favorite cookbook, Eat More Dessert.